This tour leads you to the Open-air Museum of Architecture and Urban Planning. It gives you glimpses into a trailblazing architectural reform movement: the “Neues Bauen” (New Objectivity) of the 1920s. The start and end point is the S/U Bahnhof Lichtenberg. Neues Bauen was a movement in architecture and urban planning in Germany from the 1910s to 1930s. Due to pressing social problems and a massive demand for housing, it attempted to create affordable living space for workers and employees as well as families. At the time, tenements shaped the Berlin cityscape. The Neues Bauen architects responded to the partially disgraceful living conditions with a radically new concept: Light and airy apartments in a green setting, with plenty of sunlight. They were characterised by the industrial design style, with simple, strictly geometric forms and – the distinguishing feature, as it were – the flat roof. 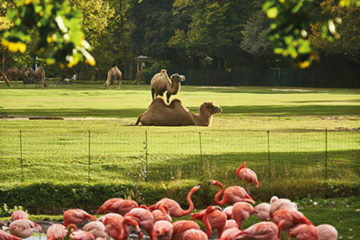 You can find a number of important examples of this in the Weitling neighbourhood. 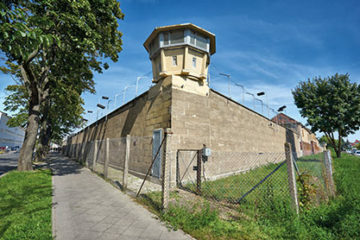 First, follow Weitlingstraße past Margaretenstraße as far as Zachertstraße. At the corner of Ribbecker Straße is the housing development designed by the architect Jacobus Goettel. Pappelhof, Ulmenhof and Erlenhof all captivate viewers with the precisely planned interplay of colours on their facades. 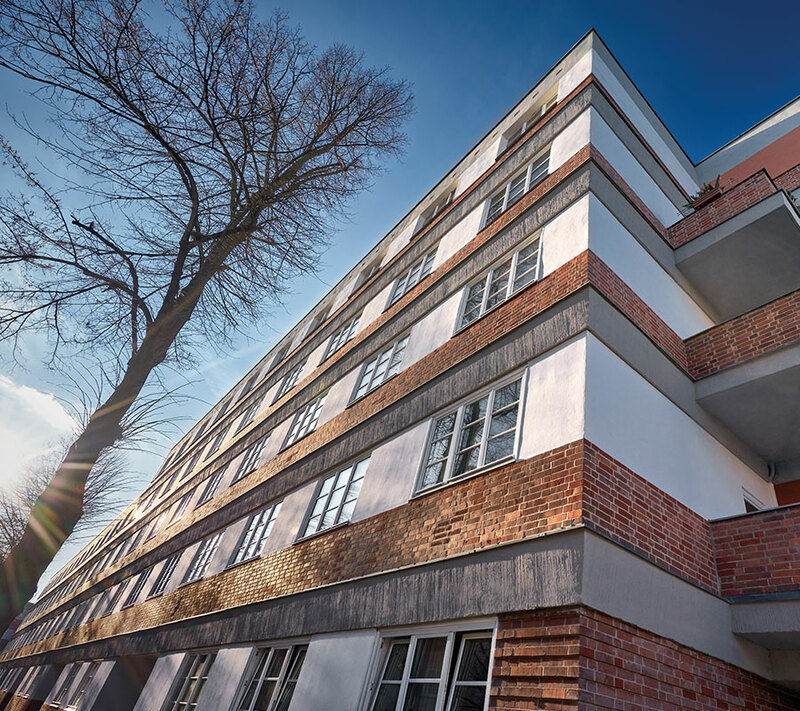 Then you pass the housing development designed by Mebes and Emmerich, located between Lincolnstraße and Eggersdorfer Straße, erected in 1926/27. Now turn right into Bietzkestraße. 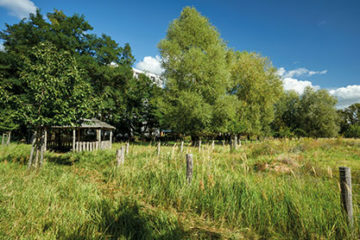 At the next crossing, you can already see Sonnenhof, designed by Erwin Anton Gutkind. 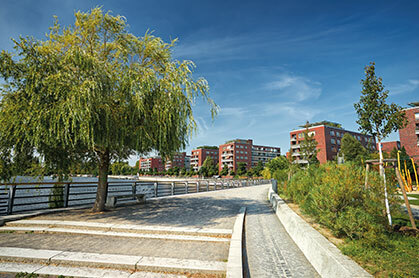 This is a striking residential complex in a block development of monumental dimensions. Its severe red-white-grey patterned facade and the spectacular design of the block corners shape the look and feel of the surrounding streets. 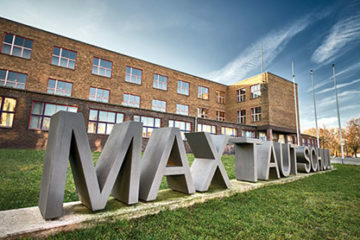 The next stop on your tour is located on Fischerstraße: the Max-Taut School, named after its architect. 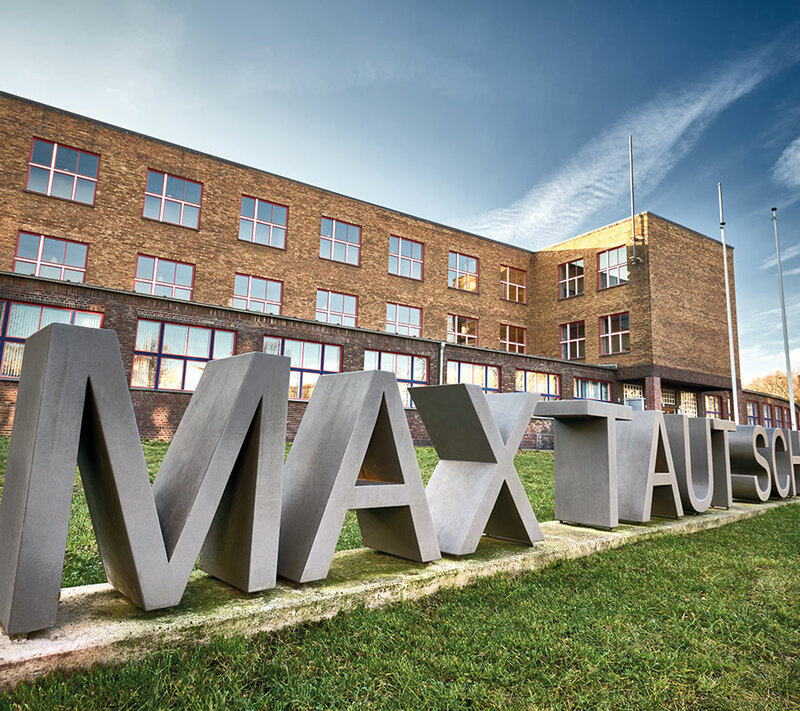 The Taut Auditorium is an architectural jewel of what was once the biggest school complex in Germany. 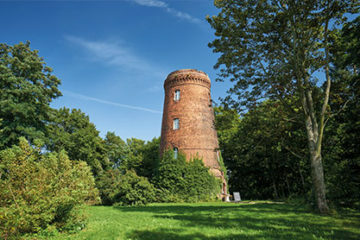 With its reconstruction and renovation in accordance with the guidelines for listed monuments, a new cultural magnet was created in Berlin. After crossing Nöldnerplatz, you reach Archibaldweg. At the junction to Rupprechtstraße, you see the nested facade of the Rupprechtblöcke. This is where the architect Bruno Ahrends experimented with Cubist shapes. 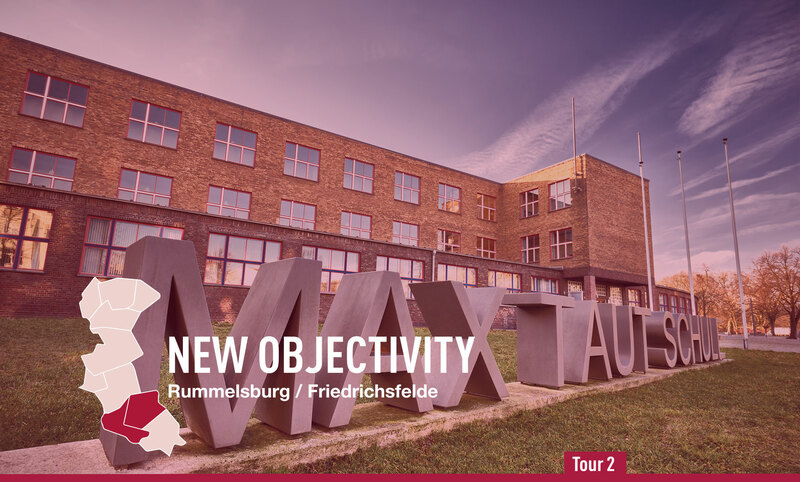 The next destination on your tour is the residential complex designed by the architect Paul Rudolf Henning on Metastraße. The elongated, austere-looking block of houses is positioned north-south, thus making the best possible use of sunlight. In Friedastraße, Adolf Rading designed a Complex for the Minimum Subsistence Level for 190 unemployed workers in 1931/32. 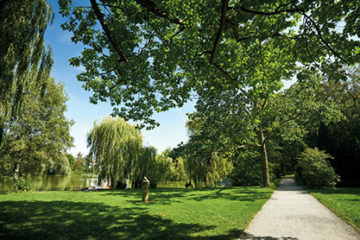 Your Neues Bauen tour ends at a residential complex on Irenenstraße, situated between Weitling and Wönnichstraße. Volker Raatz designed the building complex, also known as the “Alte Fabrik” (old factory), in 1930. In Friedrichsfelde, located between Splanemannstraße and Friedenhorster Straße is the Splanemannsiedlung (housing estate). It was built in the 1920s based on designs by the then planning commissioner, Martin Wagner, and is considered to be the first prefabricated housing estate in Germany.